As a child Pam was fascinated by the ancient artefacts in the local museum and continues to find the craft of past cultures colours her style and influences the development of her work. 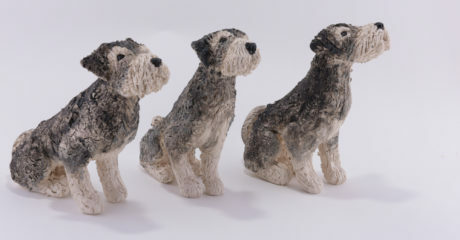 She also spent time with her late father while he worked as a bespoke tailor (as did many generations before him) and this has led her to a sympathy with texture and pattern and a textile like way of building in clay. 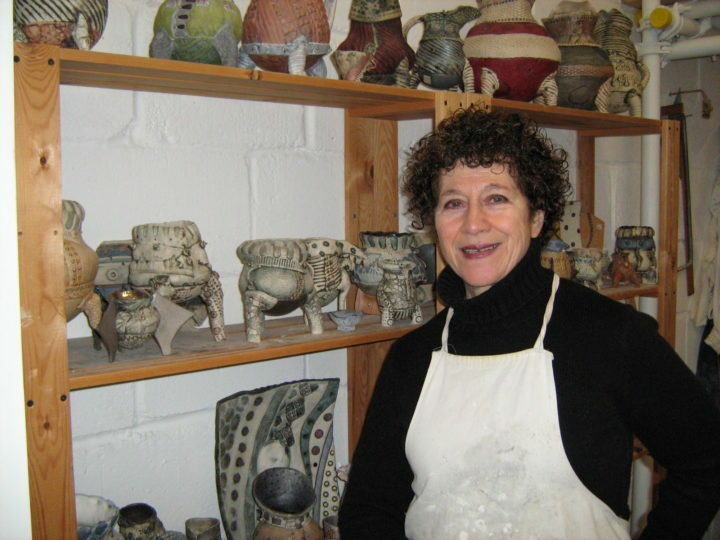 Having worked as a potter since 1985 at the age of 38, Pam is now situated at her studio - Cuckoo Farm Studios, a converted farm where there are 30 individual lock up studios of all disciplines. 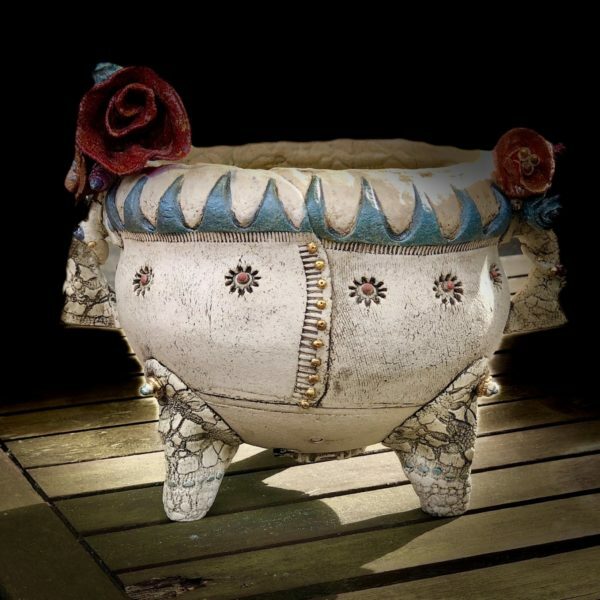 Each piece is individually hand built in porcelain, stoneware or chocware. Marks are made and patterns impressed into rolled out slabs of clay, with made or found tools. The pot is then built with sections from these slabs and fired. 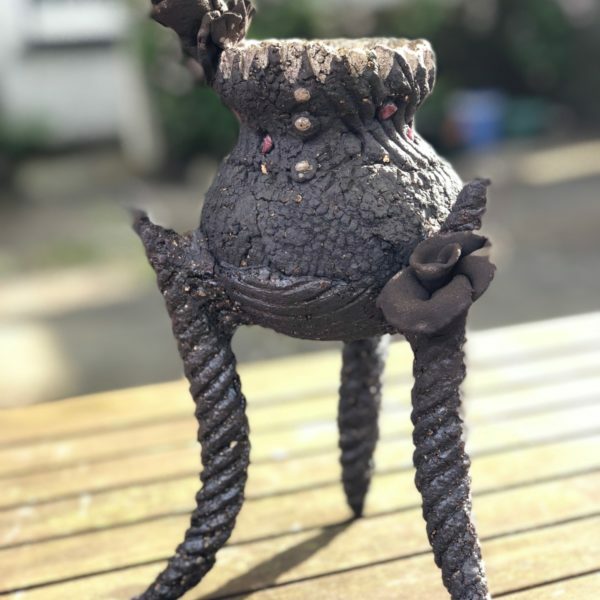 Colour is included at all stages, with the use of oxides, slips, glazes (dolomite or barium) and precious and on-glaze luster’s. Many are fired 3, 4 or sometimes 5 times. Over the past 30 years Pam's work has been included in many exhibitions throughout GB and abroad; a collection bought by Liberty’s, London: exhibitions in Open Eye Gallery, Edinburgh: Cecelia Coleman Gallery, St. Johns Wood: The Crypt-St Paul’s, the Barbican and shown in France, Germany and the USA, with a large collection of ‘coffee and tea sets’ ordered for Saudi Arabia. Hayletts Gallery Maldon In conversation with Wendy Bailey 24th September. Zepter	Italy touring show	Lidded Container compt. Mall Galleries	London W1 with S.D.C. Museum of East Anglia	Stowmarket - E.A.P.A.